The Fabulous Life and Thought of Ahmad Fardid [English, short] from Nafi on Vimeo. Registration closes 3 June 2018! Ideas travel in time and space. 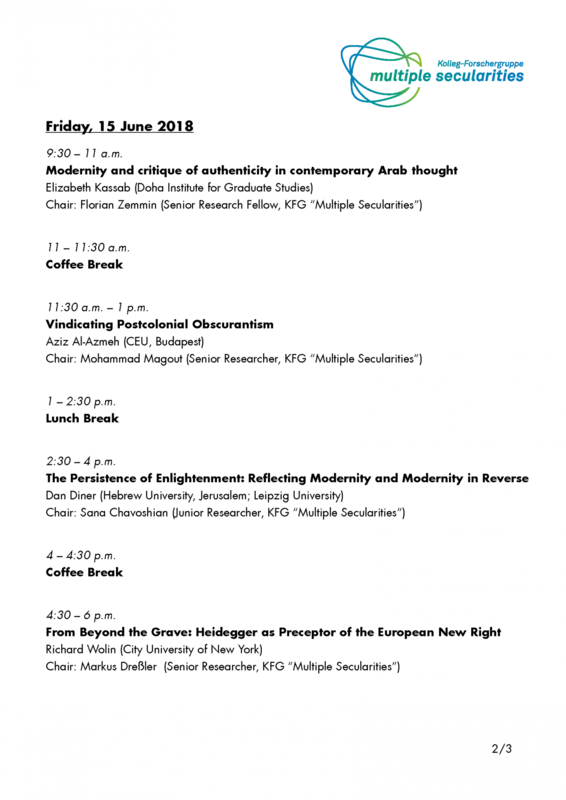 The conference seeks to explore the transnational circulation of counter-enlightenment discourses, moods and motifs as well as those of their intellectual opponents. 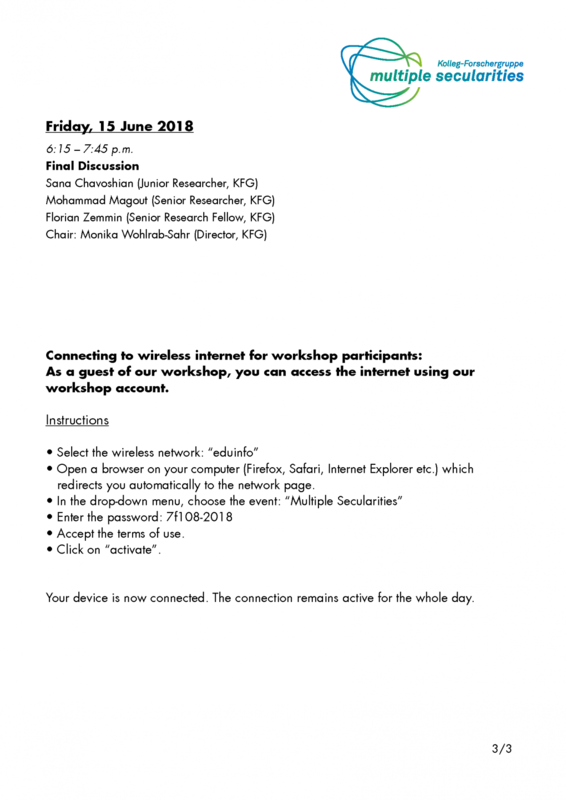 We will discuss the global phenomenon of anti-modern critique in its specific regional contexts in the Islamicate world, but also its wider entanglements. The cases of Ahmad Fardid and Henry Corbin are revealing examples of such transnational traveling of ideas and traditions. Critique of “Western” modernity is present outside and inside the West. We aim at discussing the similarities and differences between various types of such critique, including critical theory approaches and post-modern forms of critique. 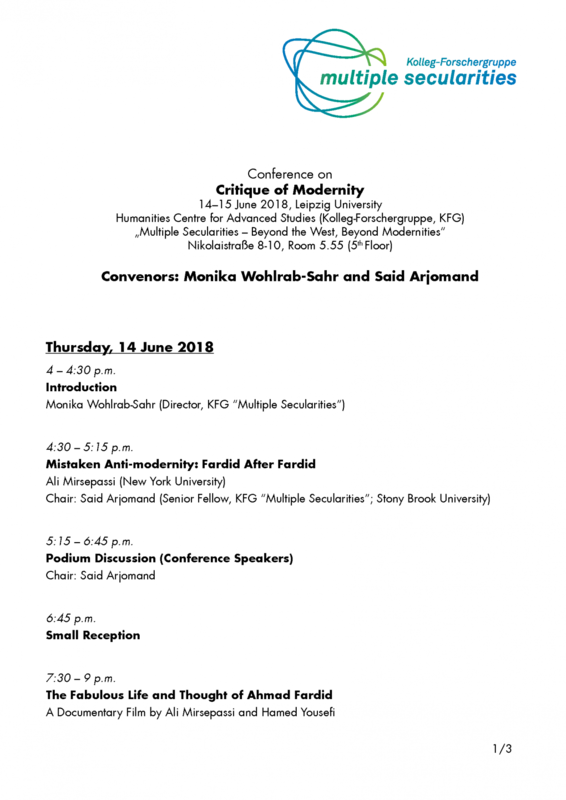 The starting point of the conference is Ali Mirsepassi’s recently published book on Ahmad Fardid (Transnationalism in Iranian Political Thought: The Life and Times of Ahmad Fardid, Cambridge University Press: 2017). Iranian public intellectuals were of great influence on the rise of political Islam in Iran on the eve of the revolution that eventually emerged as “Islamic”. Ahmad Fardid, the famed Iranian “oral philosopher” and devoted Heideggerian took from his years of study in Europe the philosophical resources to combat the global force of “Westoxification,” exalting the spiritual vitality of the Iranian and Islamic tradition against the truth-effacing forces of Western culture, including its secularism. This found resonance among European intellectuals, for instance Foucault, for a while. This resonance indicates a deeper and more complex interrelatedness beyond mere intellectual or national influence and reception. Such interrelatedness is not only a matter of the past but also of the present. Since nativist movements have become influential in Europe as well as in the US, with political Islam – in itself essentially nativist – as their proclaimed antagonist, the conference will lead us not only into Middle East, but also into the depths and shoals of current Western developments.